Similar Problem: Lowest Common Ancestor in a Binary Tree ( Not Binary Search Tree). Input: A binary Search Tree and two nodes n1 and n2. 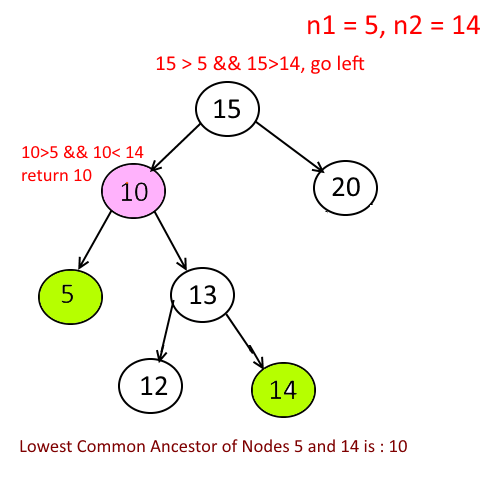 If root>n1 and root>n2 then lowest common ancestor will be in left subtree. If root<n1 and root<n2 then lowest common ancestor will be in right subtree. If Step 2 and Step 3 is false then we are at the root which is lowest common ancestor, return it. 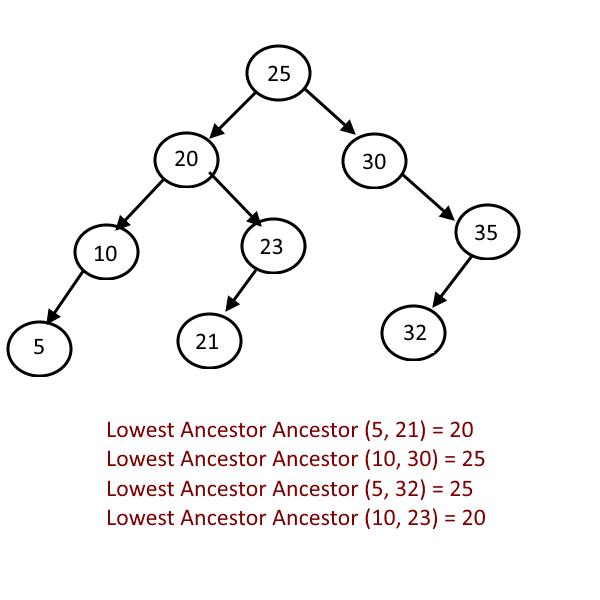 Next story Lowest Common Ancestor in a Binary Tree (Not Binary Search Tree). Previous story Make a Binary Tree from Given Inorder and Preorder Traveral.